A space that's perfect for classes such as drumming, yoga, dance, theatre, special group gathering, meditation, acoustic music and more. 8 Henry Parry Drive, East Gosford, NSW, Australia. See Map. Please check the whats on page for available times as there may be already be an event on when you want it. If you would like to book the space please contact us with full details. You will need to visit the InRhythm store between 10am - 4pm, Tuesday to Friday to get the key and entry pass. A wholistic drum teacher course that sets you up with essential knowledge and experience, allowing you to run your own teaching business. World class interactive drumming and rhythm events. 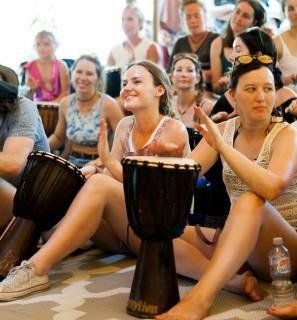 Why is drumming so good for you? 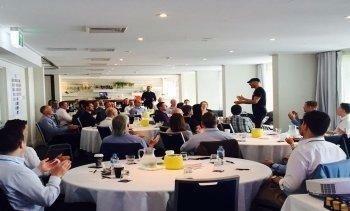 Passionate people, inspired events, Australia, Indonesia, Singapore.